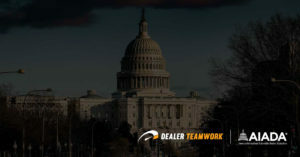 Dealer Teamwork and InteractiveTel today announced a new partnership focused on improving Launch Control’s ability to capture and analyze customer interactions in real-time. Integrating these new features will provide a better understanding of a car dealer’s marketing activity and performance. The new alliance between DealerTeamwork’s Launch Control platform and InteractiveTel’s customer interaction analysis platform will help create a new standard for measuring user activity. The goal is to show car dealers different methods of tracking quality website engagement and hard conversions. 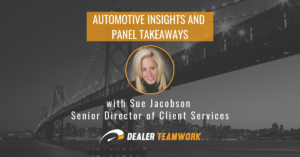 “InteractiveTel has the best turnkey solution for measuring user interactions in the industry, and we’re excited for the opportunity to partner with such a leader,” said Sean Stapleton, CEO of DealerTeamwork. “Launch Control will be able to give dealers the power to track deeper on-page actions using InteractiveTel’s keyword and key phrase spotting, live call monitoring, and their powerful customer interaction analysis. This level of analytics and reporting will help educate dealers more on the results of their Launch Control marketing campaigns. InteractiveTel is a leading provider of interactive communications solutions for an extensive range of organizations and industries–Automotive, Marine, Real Estate, Action Sports, Advertising Agencies and Enterprise clients. They offer their partners and customers a wide choice of solutions from hosted telephony solutions, inbound and outbound calling recording and tracking, call center applications, and interactive services to let businesses communicate with web visitors instantly. 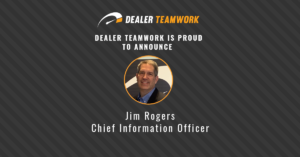 “We are excited to partner with such an exciting start-up company such as DealerTeamwork. Their Launch control platform is a real game-changer when it comes to creating and managing effective marketing campaigns. Including elements of our custom telephony solutions will help improve call tracking and provide a new layer of ROI reporting, ” said Jack Behar, CEO/President of InteractiveTel. 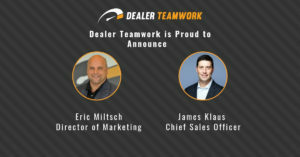 About DealerTeamwork: DealerTeamwork is a SaaS company creating first-class solutions for the retail automotive industry. Launch Control is the industry’s first MPOP, a patent-pending, merchandising and personalization optimization platform. The platform creates a significant competitive advantage for dealers by distributing their transactional data to more in-market shoppers effectively and efficiently. About InteractiveTel: InteractiveTel is the only telephony system in the automotive space that provides full accountability of every phone call and text traversing the dealership. Through the use of the system, managers have a bird’s eye view of what campaigns are working, how their customers are treated, and how their employee interactions are impacting their bottom line. For more information, please visit InteractiveTel.com.